The Barrel Ceiling in the master bath is taking shape! 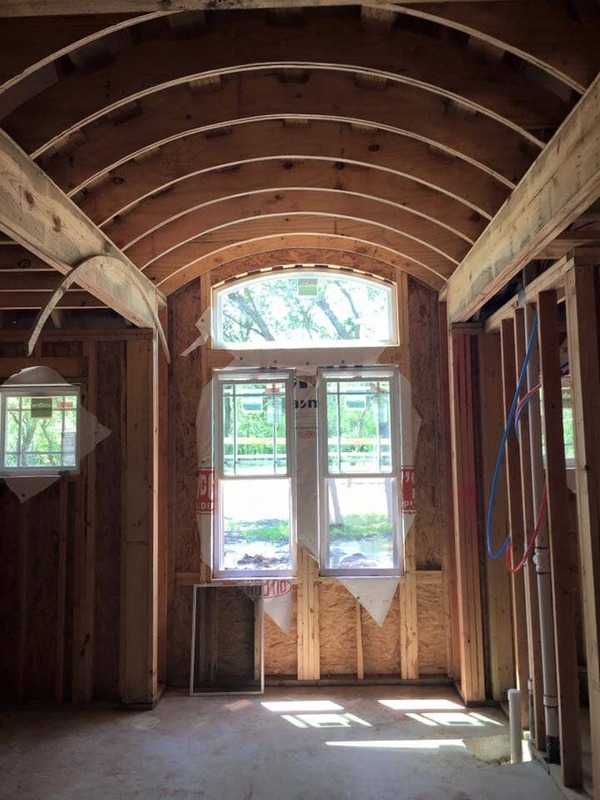 With the larger windows in front of the house, there is a lot of natural light that spills into the master bath area and will really highlight the cavernous feel of the space. 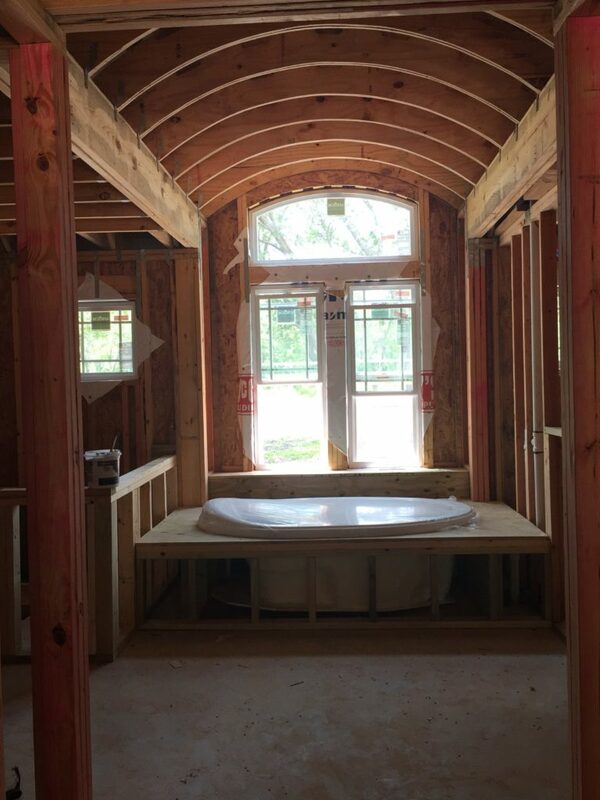 The barrel ceiling takes your eye right to the area that we will have the soaker tub. If you have the opportunity to have this type of ceiling I would definitely consider it! Instead of using the normal framing techniques, the cut plywood in the shape and made the arch. The picture really shows just what detail they used to frame the ceiling. The build is really coming along and we cannot wait to see the final product. This master bath is going to be huge! I’m sure I will have to pry The Mrs. out of the tub fairly regularly!